It was exactly one year ago in Park City when word about the performance of young Quvenzhane Wallis in Beasts of the Southern Wild began to swell. 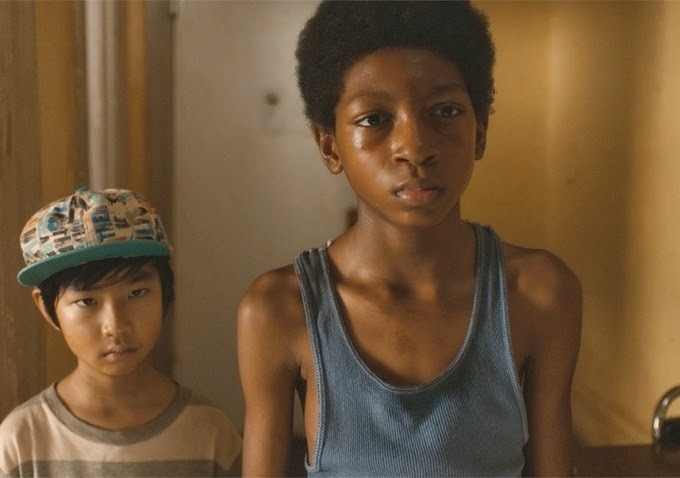 When all is said and done, we may be hearing the name Skylan Brooks honored in much the same way for his earnest and tough portrayal of an inner city youth in The Inevitable Defeat of Mister and Pete, the latest in a growing line of star-studded urban ensembles in the wake of Precious' success. Directed by George Tillman Jr., the film reaches deep into the gloomy depths of ghetto despair, and despite an energetic Alicia Keyes score, fails to completely balance it with the necessary hopefulness. From the very first frame, it's clear that the oddly named Mister (Brooks) is in for a rough life. Crying over being held back from passing the 8th grade, Mister has refused help all of his young life. A perpetual chip on his shoulder as edgy as the shock of hair on his head, he lives a miserable existence in a rundown apartment complex populated by drug dealers, pimps, and thieves. Kids his age are a rarity; most having been shipped off to a child detention center at Riverview after their parents were arrested for any number of things. Riverview seems like inevitability for Mister, his mother (Jennifer Hudson) a strung out heroin addict who turns tricks for rent and dinner money. In an especially shocking moment in a film full of them, Mister catches his mother in a restaurant bathroom stall, satisfying another patron so they can pay for that night's meal. A scowl permanently plastered on his adolescent face, Mister is the embodiment of poverty's corrosive effects. With no responsible figure in his life, the fact he hasn't already succumbed to the pull of the streets is a miracle, but the fight has clearly beaten him down. The only communication he has with kids his own age is with Pete (Ethan Dizon), a weak and rudderless Koran boy his mother occasionally babysits for. A few years younger than Mister and with a similar home situation, Pete looks up to him as a mentor of sorts. When Mister's mother is suddenly busted by the cops, the two are suddenly forced to deal with the full brunt of their hopeless predicament. Hiding from the police, who seem to be lurking at every corner, the two boys pull every trick in the book to survive the hot summer and keep food in their bellies until Mister's mother returns. Like an urban Life is Beautiful, Mister attempts to shield Pete from the gravity of their situation, pretending to be in total control as the refrigerator runs bare, the power is turned off, and the local thugs begin to loot what little they have. The boys turn to crime, but that's a disaster. 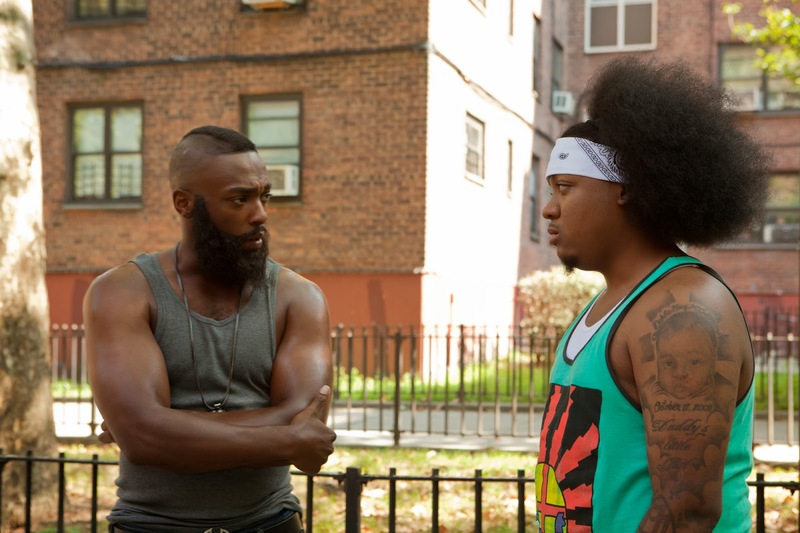 A local grocer becomes a constant thorn in their side, along with a local thug (The Wire's Julito McCullum) who hates them for unknown reasons. All the while, Mister remains vigilant in the hopes of one day striking it big as an actor in a Beverly Hills television series, reciting lines from Fargo as a means of practicing his craft. His only lifeline of support is Alice (Jordin Sparks), a girl who escaped the same projects and appears to have made a better life for herself. Brooks is simply incredible, a star-making turn delivered with impact that will be felt for a long time. He more than holds his own opposite some of today's finest actors, including Jeffrey Wright as a homeless military vet, and Anthony Mackie as the neighborhood crime lord. Sparks is far better here than she was in Sparkle, and Hudson is solid in a role many will compare to Mo'Nique's Oscar-winning performance in Precious. Michael Starrbury's uneven script beats you over the head with doom and gloom, to the point where you become insensate to it all. It's tough to watch as the boys grow weaker, dirtier, and shockingly thin for what feels like an eternity. A few moments of levity and open-heartedness intercede, but they're never given equal emotional force, which becomes a problem as the film builds to what is meant to be an uplifting conclusion. 'Mister and Pete' never gels into the dramatic, hopeful piece it intends to be, but it's saved by good intentions and Brooks' revelatory performance.